These guidelines are in accordance with the Louisville Zoo Special Event Rules and Regulations. 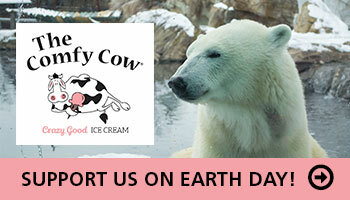 The Louisville Zoo reserves the right to review and approve applications, displays, exhibits, giveaways and literature for content that is appropriate and/or relevant to the Earth Day theme and in accordance with Zoo policies and procedures. All exhibitors must abide by the Louisville Zoo’s Participation Guidelines. Sunday, April 28, 9 – 10 a.m. Check in will be at setup time listed above. This event is rain or shine. If you would like to arrange earlier set up please contact a member of the events staff. All set up must be complete before 10 a.m. on Sunday, April 28. Access to the exhibit area will be through the Zoo’s main gate on Trevilian Way. Please observe the “NO PARKING” signs posted along Illinois Avenue and surrounding neighborhood streets. The Louisville Police Department will issue citations to violators. Free Parking is included along with the 4 complementary admissions for those representing your organization. Bring carts, wagons, dollies, etc. necessary to transport your equipment and booth material from the parking lot to your booth. No vehicles will be allowed to drive or transport on Zoo grounds on Earth Day. Please do not ask for transportation to your booth, as we are unfortunately not able to accommodate this request. If you are unable to transport all of your materials to your booth and require assistance, arrangements must be made in advance by calling (502) 238-5376. Restrooms (including handicapped units) are located throughout the Zoo. Name of exhibitor will be on the tables at each booth. You are welcome to arrange tables in your booth according to your display. Booths cannot be relocated. Exhibitors are responsible for providing their own extension cords. Exhibitors may not attach any materials (e.g., ropes, tape, and wire) to any permanent Zoo buildings, trees, fences, lights, etc. Food and beverages are available for purchase at Zoo concession stands throughout the day. You are welcome to bring your own cooler and beverages. Alcoholic beverages are not permitted. Signs and banners at your booth or table should reflect the spirit of Earth Day. Also in the spirit of celebrating the Earth, exhibitors should strive to be as trash free as possible. Exhibitors are responsible for disposing of or removing their own trash. The Zoo utilizes a Wet/Dry recycling program, there’s no need to search out special recycling bins! In the spirit of Earth Day, we discourage any paper give-aways. The Louisville Zoo must approve in advance of the event any item that you plan to distribute at the event. Please provide a description of any item you wish to give away with your application. No retail sales or collection of donations will be permitted. 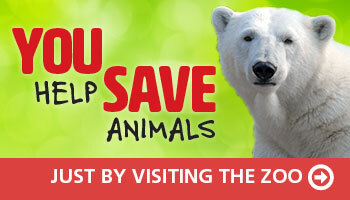 Please visit https://louisvillezoo.org/plan/know-before-you-go/ to see a full list of Zoo Rules. Please note: NO BALLOONS are permitted on Zoo premises. Four total admissions for organization personnel working the booth. Additional space may be available based on the number of exhibitors. For a printable PDF of the application and guidelines, please click here.